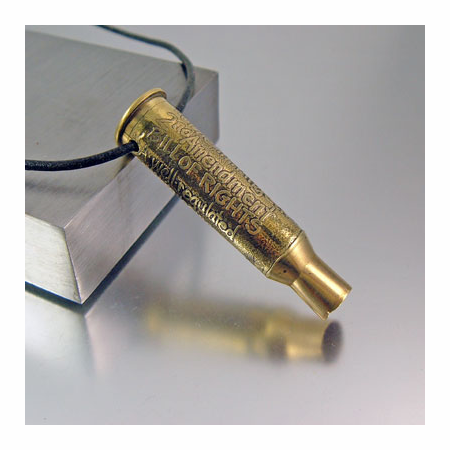 These are 7.62�54 military casings, the oldest cartridge still in regular combat service with several major armed forces in the world. 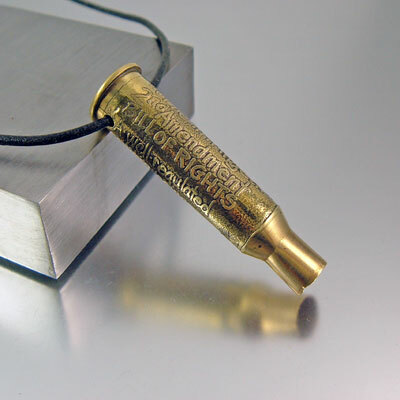 In 2011 the cartridge reached 120 years in the service mark. The 7.62�54 is currently and mainly used in sniper rifles like the Dragunov sniper rifle and machine guns like the PKM. This caliber is also used as a modern hunting bullet for large game however, it is a military caliber. The casings have been intentionally left in their original condition and may have dents or firing marks on them. Each will have the 2nd Amendment bill of rights inscribed onto it. 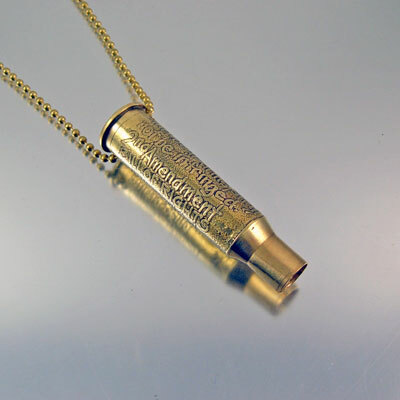 A perfect gift for anyone in the military or armed forces.